Full Convertible Pannier Backpack System> Watch! Contact us to discuss customized colors or waistbelt sizes. 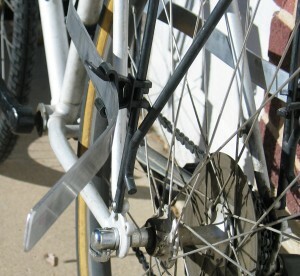 To keep the pannier out of the rear wheel, the pannier backpack’s internal frame mounts horizontally to the most vertical stay of the rack and to the bike’s tube, ~6-8” above the bottom bracket, using the hardware shown below (included). 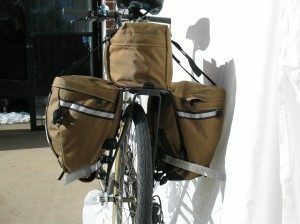 This entry was posted in Backpacks, Classic Backpack, Converting, Elite Backpack, Instructions, Mounting, Rear Panniers, Video and tagged Classic, Cycling, Hiking, Pannier Backpacks, Pannier Rucksacks, Rear Pannier Sets. Bookmark the permalink. 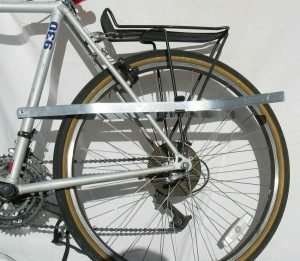 Front Panniers vs Rear Panniers? Creators Of Appropriate Technology For Human-Powered Travel.